Since Firefox is labeling a slew of extensions as “legacy”, they are no longer allowing users to enable these “legacy” extensions. 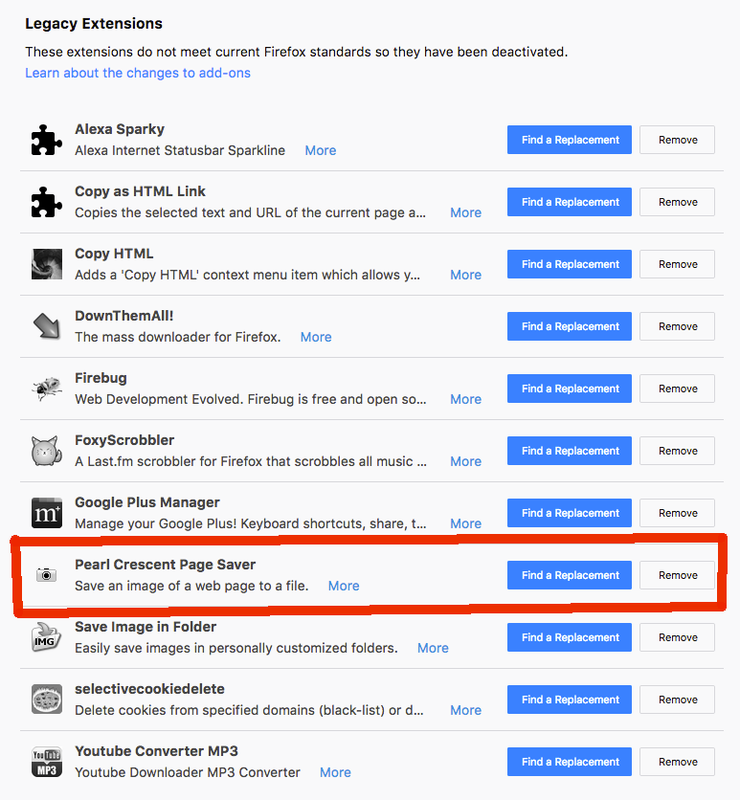 One of my favorites was “Pearl Crescent Page Saver” This extension allows you to take a screenshot of the entire webpage, including the parts below the fold of the browser. As a graphic designer, I use this extension all the time. And now Firefox no longer lets me use this ability. The “Find a Replacement” button doesn’t yield any extensions that perform this valuable action. But good news! Chrome does have an extension: FireShot let’s you take full webpage screenshots. 19,062 people have installed this extension, so I feel it’s legitimate. If you had your favorite screenshot extension disabled in Firefox, give FireShot in Chrome a shot.